Rising Thunderhead by Todd Connor. Oil on canvas, 30” x 40”, at Creighton Block Gallery. 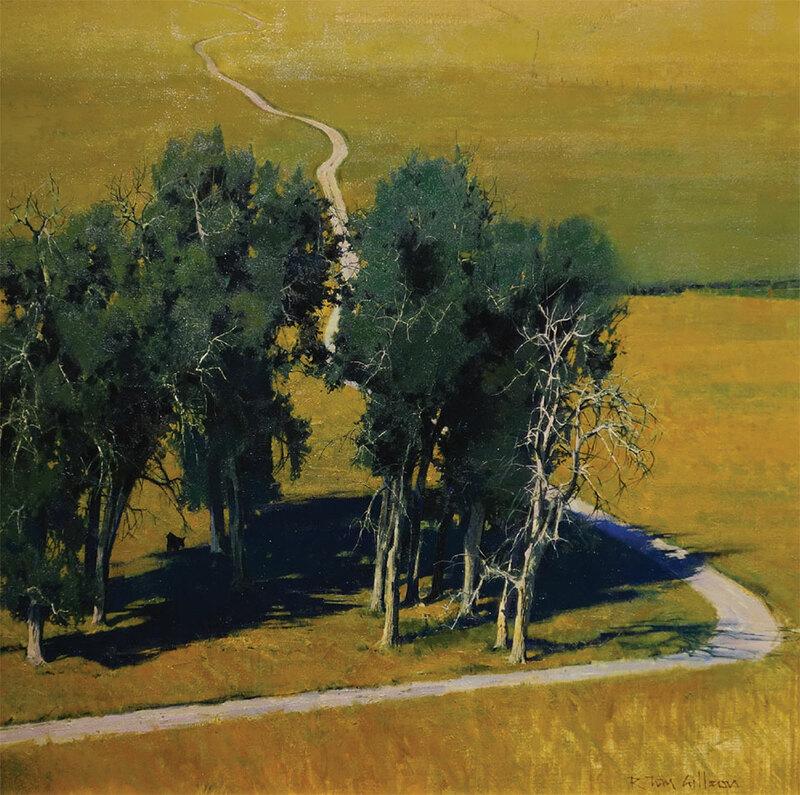 Whether the focus is Western, modern, classic, Russian Impressionism, Western tonalism, or Native American fine art, these artists and the gallery owners identify their environments and the worlds in which they live, emphasizing that their art is a conduit for the appreciation of Western life and its offerings. 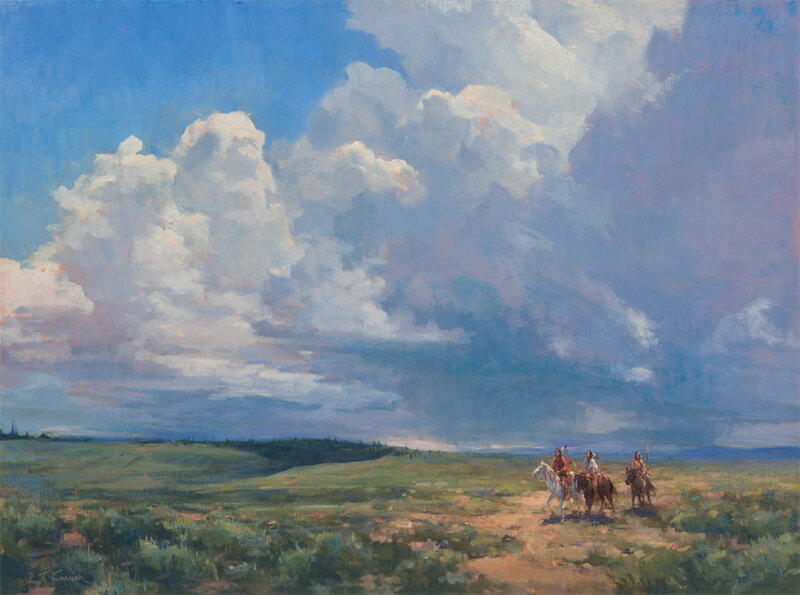 At Creighton Block Gallery, there is a world within a world of traditional Western fine art as well as contemporary fine art, where the best in both can be discovered, especially among the living artists who are frequently exhibited there. 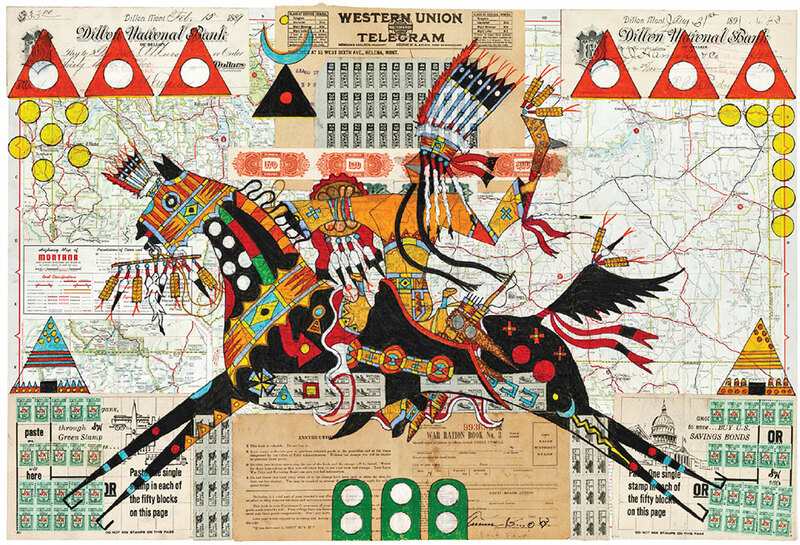 For artists Terrance Guardipee and George Gulli, the beauty and alluring work of Native American ledger art and the craftsmanship of totem poles connect to collectors and art lovers on a sublime and ethereal level. 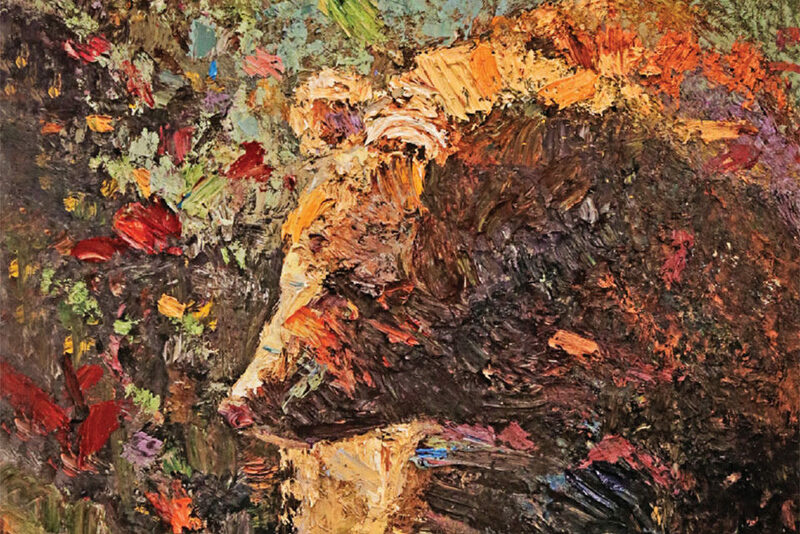 In addition, the Western artist community is also home to the creations of Kira Fercho, whose interpretation of Montana in her paintings can be found in her galleries and studio and are also exhibited in spaces, homes, and businesses around the West. Western Home Journal invites you to explore Western fine art as another element of your existing or dream home and surroundings in the West. Rodeo Drive by Tom Gilleon. Oil on canvas, 36” x 36”, at Creighton Block Gallery. Red Sky Riders by Kevin Red Star. Acrylic on canvas, 48” x 72”, at Creighton Block Gallery. #2 Pants on Fire by Duke Beardsley. Oil on canvas, 30” x 72”, at Creighton Block Gallery. 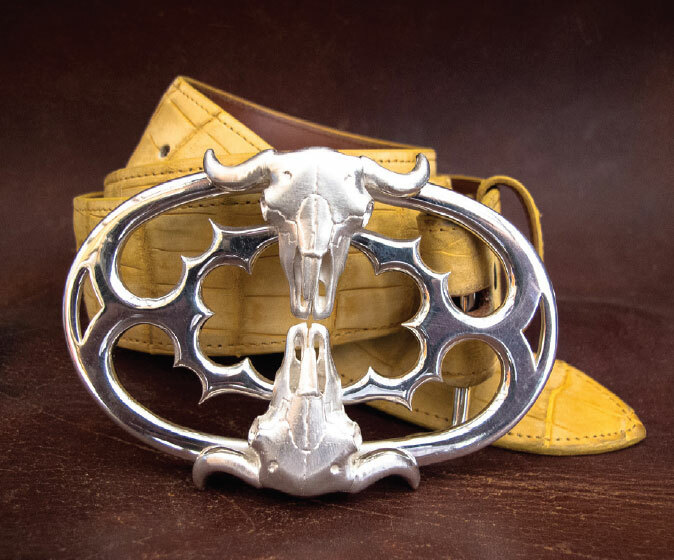 Double Bison Belt Buckle by Ellie Thompson and Co. Sterling Silver at Creighton Block Gallery. #1 Appetite for Destruction by Brad Overton. Oil on canvas, 60” x 60”, at Creighton Block Gallery. She by Kira Fercho, 6’ x 4’, oil on canvas at The Grove Hotel in Boise, Idaho. What depicts and defines art in the West is not only its native subject matter, but also a Western artist’s approach and connection to their work and place. Kira Fercho is a Billings, Montana, native, which is also where she works and raises her children with her husband, Kent. In her Billings studio and Big Sky gallery, Kira produces and sells her work, which she has been exhibiting throughout the West in public and private collections and in art spaces for more than 20 years. 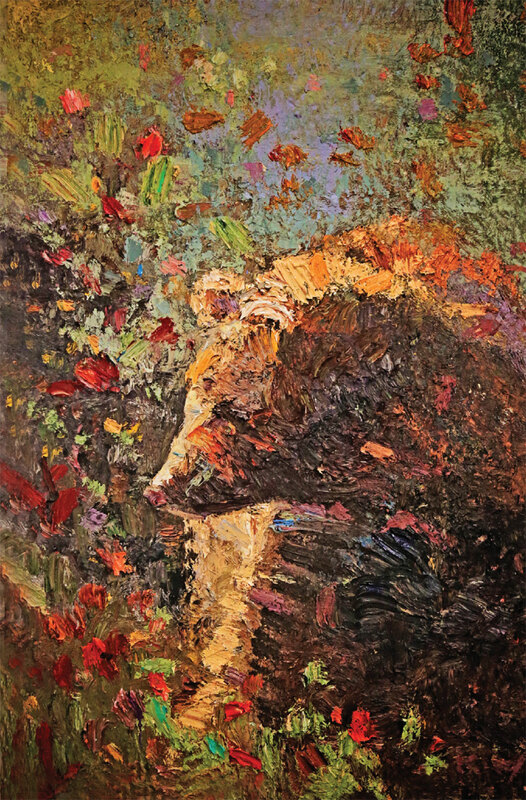 Like all Impressionist painters before her, Kira paints what she knows—the people, the landscape, the animals, the Montana way of life, and in general, she paints what surrounds her. Wisdom by Kira Fercho, size 5’ x 4’, oil on canvas. 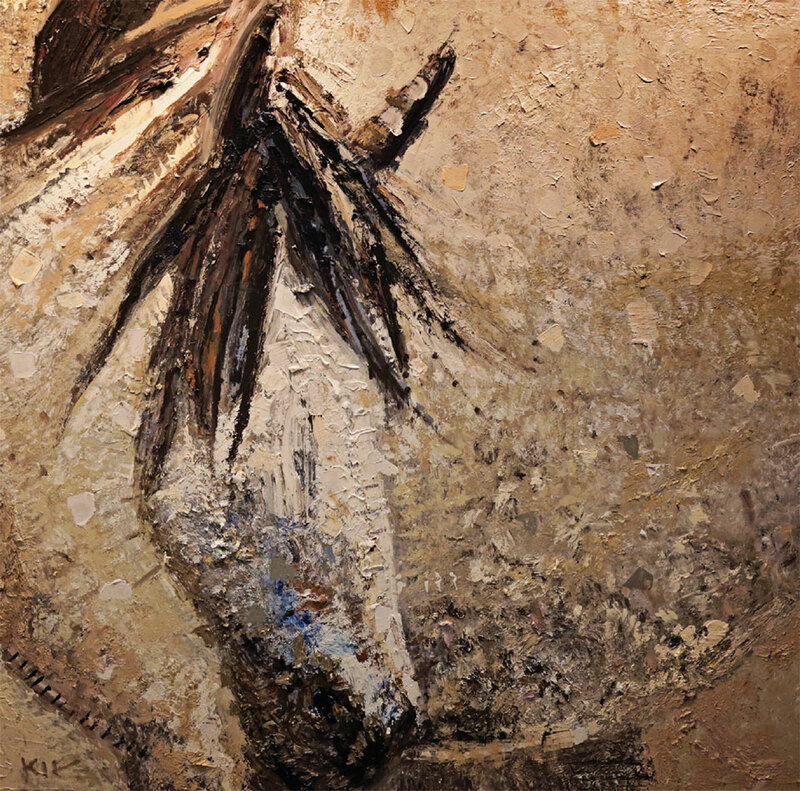 Appaloosa by Kira Fercho, 5’ x 5’, oil on canvas. Boise River Welcomes You by Kira Fercho, 12’x4’, oil on canvas at The Grove Hotel in Boise, Idaho. Hope by Kira Fercho, 6’ x 4’, oil on canvas at The Grove Hotel in Boise, Idaho. antique Montana checks, World War II ration book and stamps, 23” x 18”, October, 2018. The power of art and its beholder is never so powerful as it is with the work of ledger artist Terrance Guardipee. 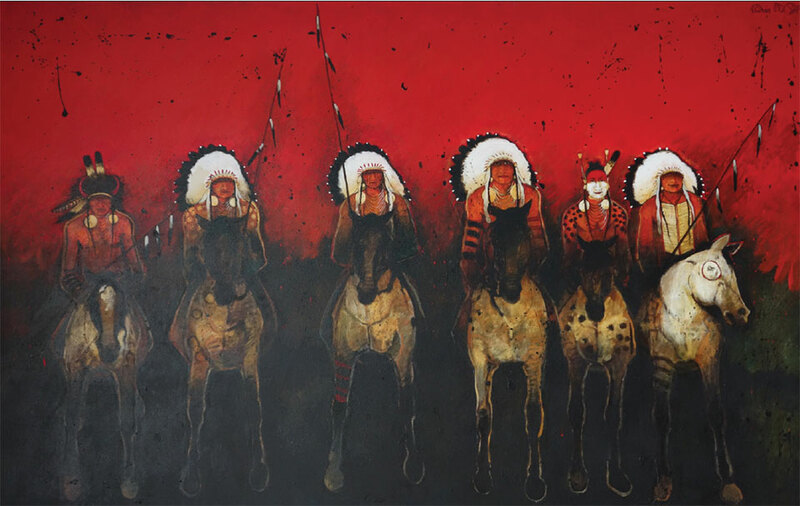 Guardipee is an internationally acclaimed Blackfeet painter and ledger artist consistently recognized for the traditional depiction of his Blackfeet heritage and contemporary innovation represented through all of his work. 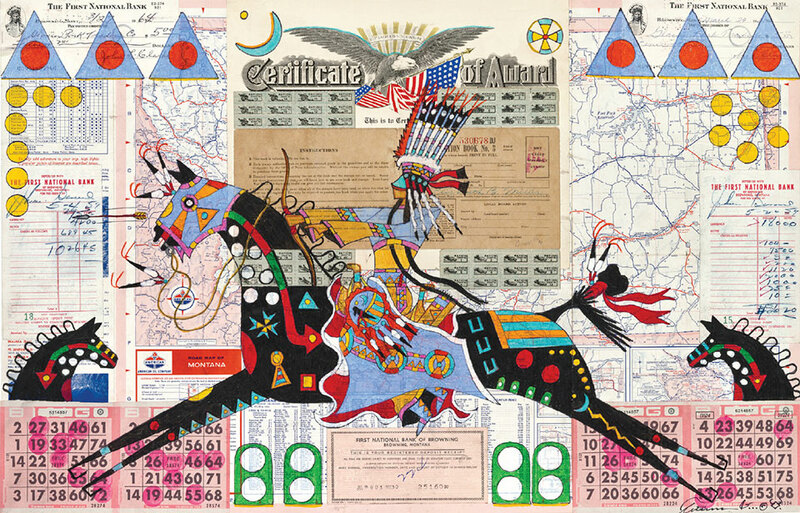 He is one of the first Native American artists to revive the historical ledger art tradition, and was the first ledger artist to transform the style from the single-page custom into his signature map collage concept. The map collage concept is based in the ledger art style, but incorporates various antique documents such as maps, war rations, and checks in addition to single-page ledgers. Running Eagle, Blackfeet Warrior Woman War Raid by Terrance Guardipee. Oil and pencil, 1897 Montana ledger paper, antique documents, 36” x 19”, September, 2018. 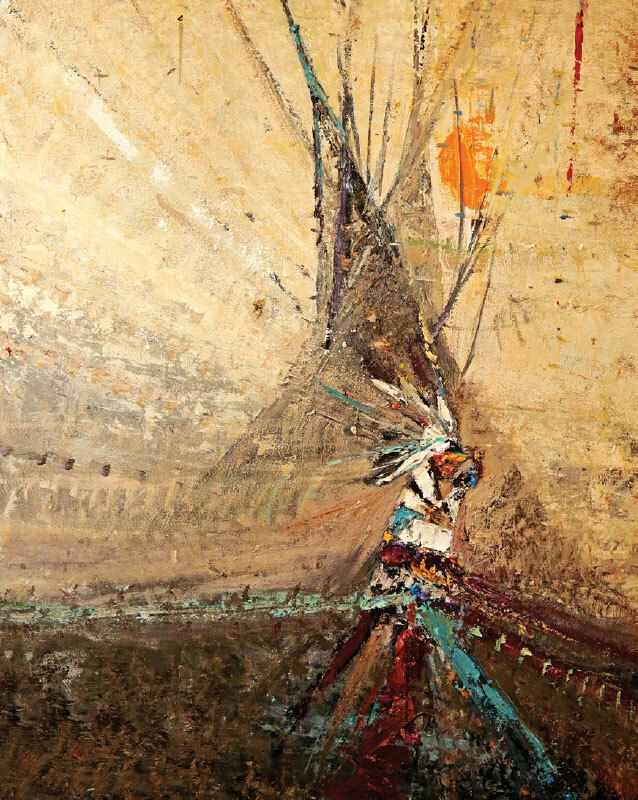 Guardipee lived in Montana until he attended the Institute of American Indian Arts [IAIA] located in Santa Fe, New Mexico, where he studied two-dimensional arts. His educational experience at IAIA enabled him to incorporate the contemporary color palette he is known for in a manner that is consistent with Blackfeet tradition. Blue Bird Woman by Terrance Guardipee. Oil and pencil, antique Montana map, antique Montana checks, Blackfeet bingo, World War II rations and stamps, 23” x 18”, October, 2018. The innovation Guardipee has demonstrated in his artwork is recognized by numerous museums, prominent Indian art markets, and private collectors. Running Eagle, Blackfeet Warrior Woman Leader of the Crazy Dog Society by Terrance Guardipee. Oil and pencil, 1897 Montana ledger paper, antique Montana documents, World War II ration, 19” x 36”, August, 2018. Black Wolf, War Medicine by Terrance Guardipee. 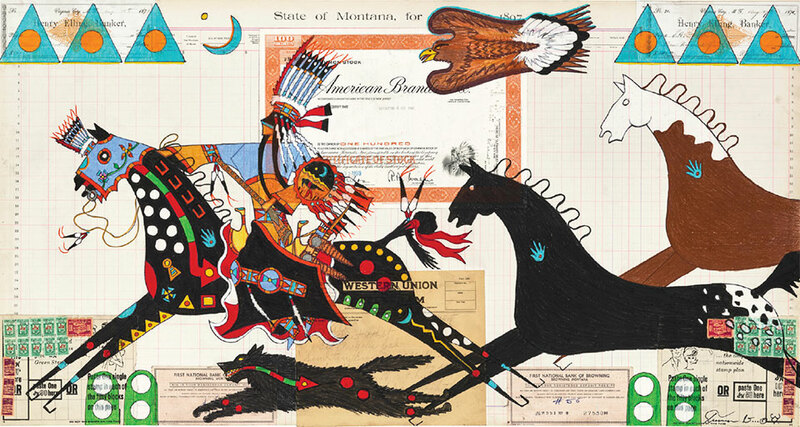 Oil and pencil, 1897 Montana ledger paper, 36” x 19”, September, 2018. 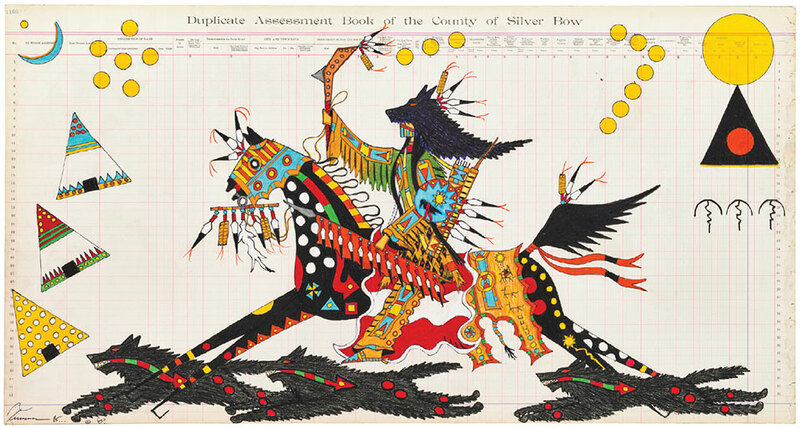 Guardipee is the godfather of ledger art, which he created twenty years ago. 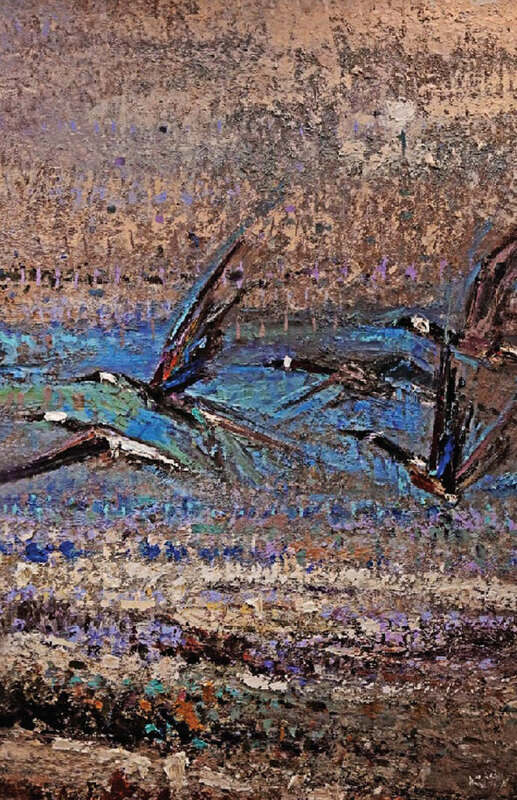 His work is featured in the permanent collections of prestigious institutions such as the Smithsonian Institute, the Gene Autry Museum, the Hood Museum at Dartmouth College, and the Museum of Natural History in Hanover, Germany. 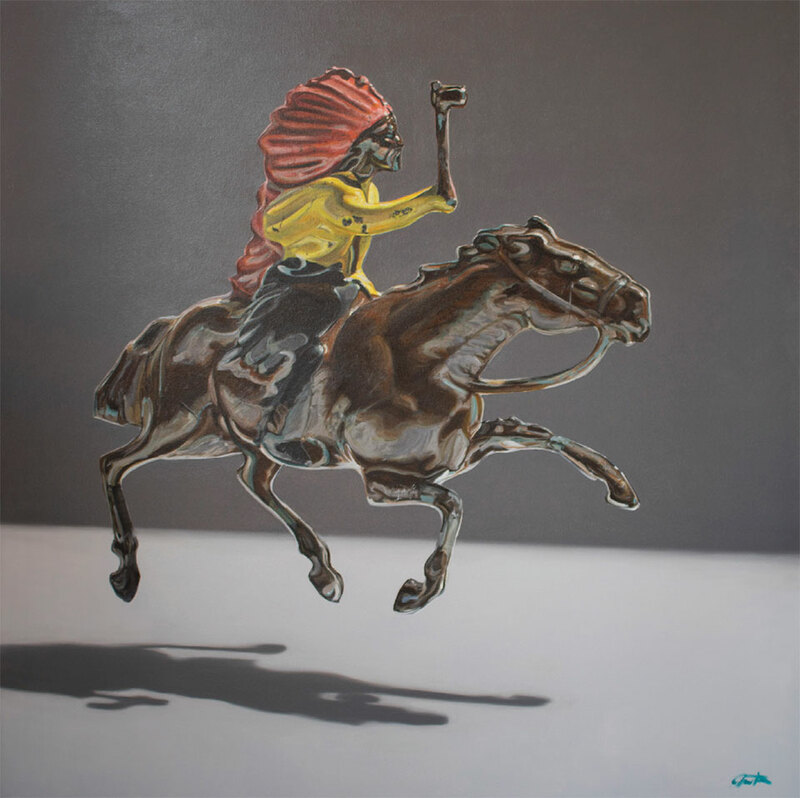 Furthermore, Guardipee was the featured artist at the National Museum of the American Indian in 2007, and was selected to create an image for The Trail of Painted Ponies at the 2008 50th Anniversary Heard Museum Indian Art Market. 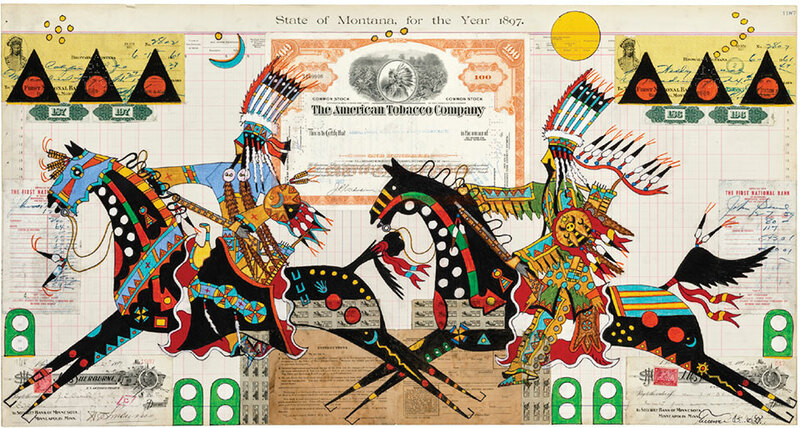 Terrance has placed first in ledger art several years in a row at Santa Fe Indian Market, as well as winning best of western art in 2017. When George Gulli sleeps he dreams of totem poles. He contemplates the massive straight larch logs free of their imperfections, center-lined for their design, and cradled upon several sawhorses. He thoughtfully considers the intricate carvings, which could range from traditional Pacific Northwest Coast Native American tribe symbolism to bold and unique designs that he will arrange on the pole to depict his client’s life, environment, or the poles’ site. As a third-generation carver inspired by his father, his larger-than-life totemic art studs the Rocky Mountains, but also lives as far away as Canada and Ireland. For 37 years, his dreams continue to reflect the gratitude he feels bringing this sacred and oft forgotten art to the world. *Pauline Hillaire, Scalla-Of the Killer Whale, a Lumni cultural historian. So, how did this soft-spoken, wildly intelligent Montanan whose grandfather carved stone in Italian quarries and whose father relished its medium in wood while living in California, take to carving enormous felled trees that require the ultimate in creative visualization to produce a totem so dictated by precision and patience that few non-Natives are ever fully recognized by First Nation tribes as serious artists? By watching his father. “I didn’t want all the knowledge to go away,” says Gulli, “and I began to understand that with each client, and my experience in getting to know them, and the joy they exhibited in having something made specially for them, a piece that looks beautiful in their yard, was really my joy. Being an artist is wonderful. It works for me.” And his clients agree. That special place, whether emotional or physical is what Gulli is tempted by. From designing, to measuring, to the pole’s initial cuts, with traditional hand tools like chisels and calipers, to non-traditional tools like grinders and sanders, and chain saws to “chunk out” large pieces of wood, Gulli realizes it is a privilege to carve for that client. “Being able to expand out of my heart is my greatest joy.” That satisfaction is readily seen in both his traditional and non-traditional designs. When a client asks for an eagle or a wolf, Gulli explains its historical significance. The former is known as smart and resourceful as he rules the sky with the ability to transform himself into a human. The latter is very powerful and known to help people who are sick or in need. Totem poles include various symbols that enact powerful reactions to those who stand beneath the monumental sculptures. Alternatively, the poles can signify the entrance to a property, define an honored location, tell a family’s story or a village’s tale, or commemorate special occasions like marriages and anniversaries. 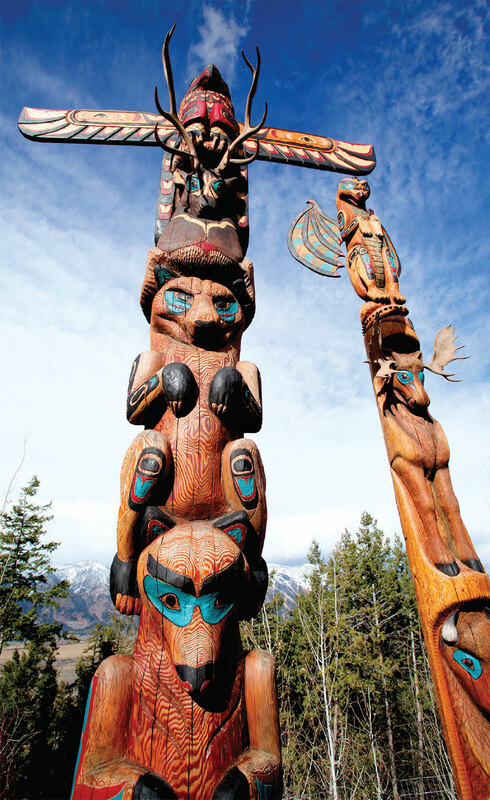 Towering overhead, a totem pole is a complex piece of art constructed from a tree that characterizes an idea or statement and when raised is emblematic of a ceremony. To meet Gulli, visit his studio in Victor, MT, where his passion for poles is palpable. Or, visit his website to inquire about the pole you’re dreaming about.